With »Zerosphere« by Heckmeck! 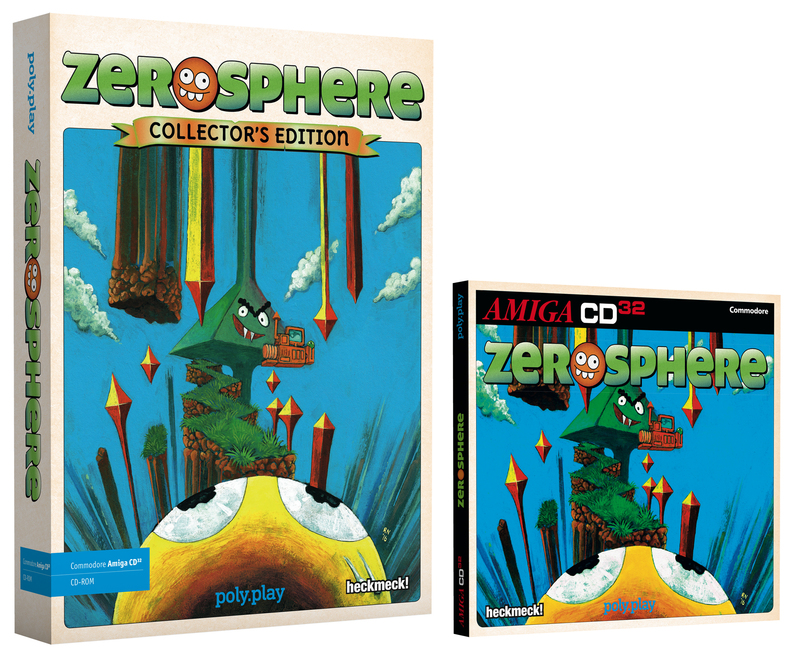 poly.play publishes the first title for Amiga (diskette) and CD32 (CD-ROM) in two variants each: On the one hand as Collector's Edition in a box with some extras like poster, SD card, sticker and an exclusive yo-yo. On the other hand as a budget variant in a six-page digipak with 16-page booklet. However, there is one special catch: Odak has used his latest invention, the »Dimensional Transformer« on Squinty - now, everything around him appears distorted and looks vertically stretched. Only if Squinty squints real hard, he can see the world around him normally for a short period of time.